New Record For World’s Fastest Car! 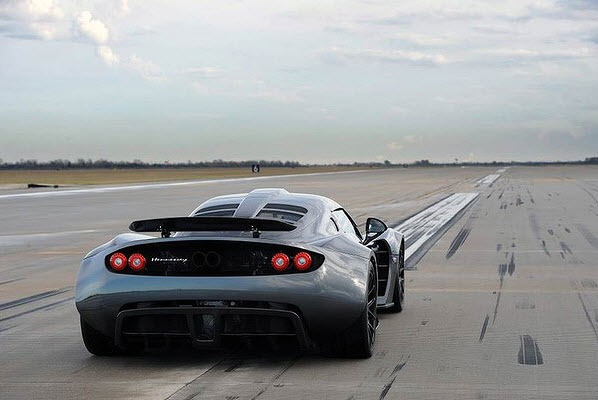 American Venom reaches 435.5km/h at NASA facility. A handful of American engineers have unseated one of the world’s largest companies by building the fastest road car in the world. 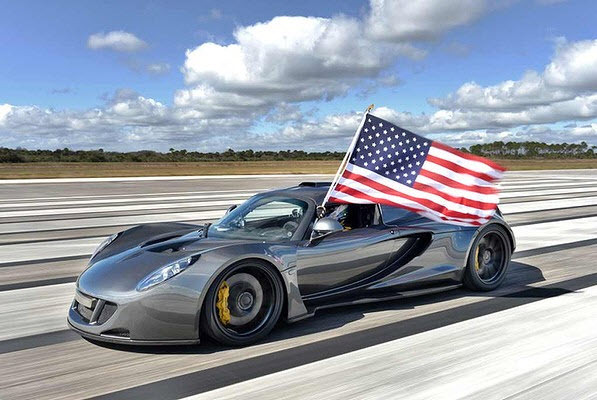 The Hennessey Performance Venom GT reached 435.5km/h during a test run at the Kennedy Space Centre in Florida, breaking the 431km/h record set by the Bugatti Veyron Super Sport. 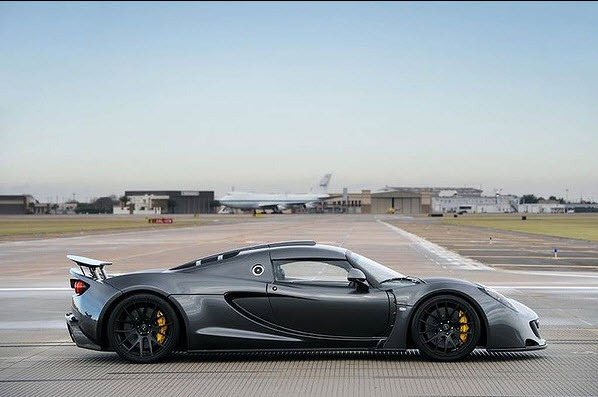 Bugatti’s Veyron is the jewel in the Volkswagen Group’s crown, and the result of an immense research and development program, while Hennessey’s car is a stretched Lotus Exige with a 7.0-litre, 927kW twin-turbo V8 wedged between its axles. 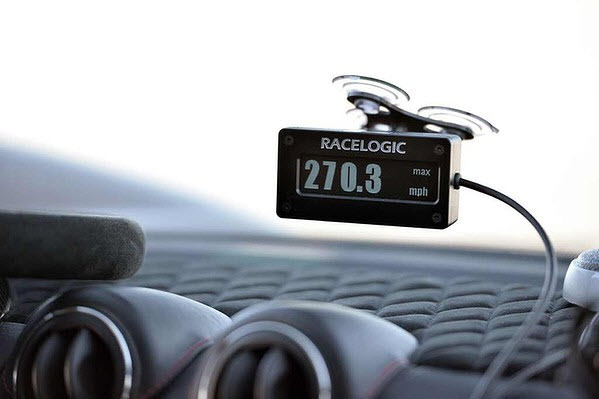 Its record is particularly impressive as test driver Brian Smith started from rest, broke the record and stopped on a 5.1-kilometre stretch of tarmac rather than using an high-speed oval to give the car a running start. “It was still pulling,” Smith said. Hennessey chief executive Don Goldman says the achievement was one to remember. 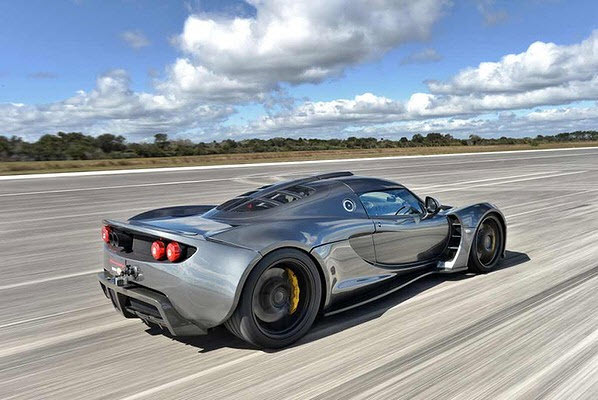 “I knew the car had it in it, but it’s a thrill to officially validate the Venom GT’s 270mph speed,” he says. But Bugatti will retain its place in the Guinness book of records. 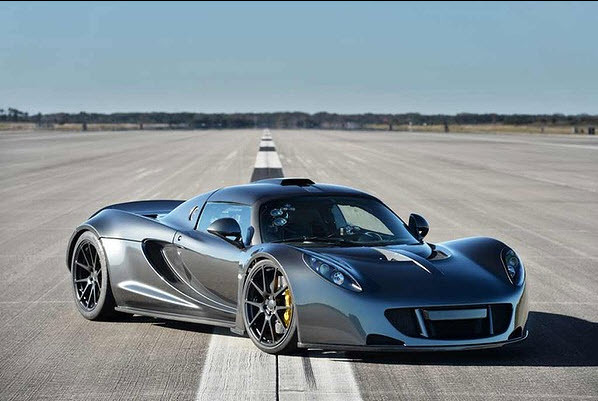 The independently verified Hennessey speed will not go into the book as the Venom could only be driven one way on the NASA landing strip, and the book requires cars to make runs in two directions to account for variables including gradients and wind direction. Bugatti’s title is not without controversy, as the manufacturer was stripped of its 431km/h record because the car had been modified by the manufacturer and was not a production model. Guinness World Records later reinstated the award. There are very few places that allow such high speeds in two directions, with arguably the best facility owned by Volkswagen. Its Ehra-Lessien test track in Germany hosted Bugatti’s record runs and is not available to manufacturers seeking to defeat the Veyron. 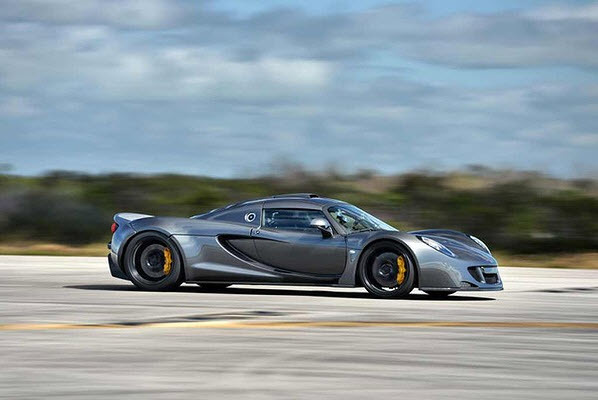 Hennessey’s achievement is remarkable given it is a fledgling concern that has delivered just 11 examples of its car, while Volkswagen has sold more than 400 examples of the Veyrons to millionaires across the globe. Both cars could be knocked off their perch by a 999kW Swedish beast called the Koenigsegg One:1 that has the potential to hit 450km/h.